Stylish and smart, these slim fit boy’s school trousers have been made with an improved fit and fabric and an adjustable hidden elasticated waistband for growing kids. They are made from hard-wearing 100% pure organic cotton that is gentler on your child’s skin and also the environment. Sizes up to 7-8 have no zip fly for safety reasons. Organic cotton is not treated with chemicals to prevent shrinkage so after washing they will shrink by up to 5%. This garment is cut more generously to allow for this shrinkage. Once washed before use at 30C and dried they will have shrunk to the marked size. 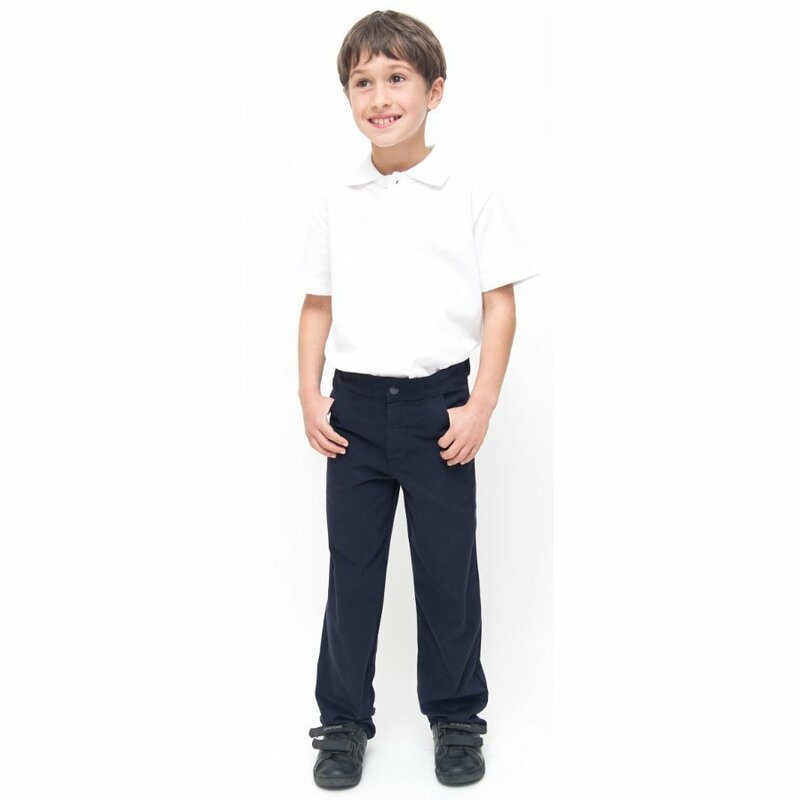 The Boys Slim Fit School Trousers With Adjustable Waist - Navy - Junior product ethics are indicated below. To learn more about these product ethics and to see related products, follow the links below. There are currently no questions to display about Boys Slim Fit School Trousers With Adjustable Waist - Navy - Junior.